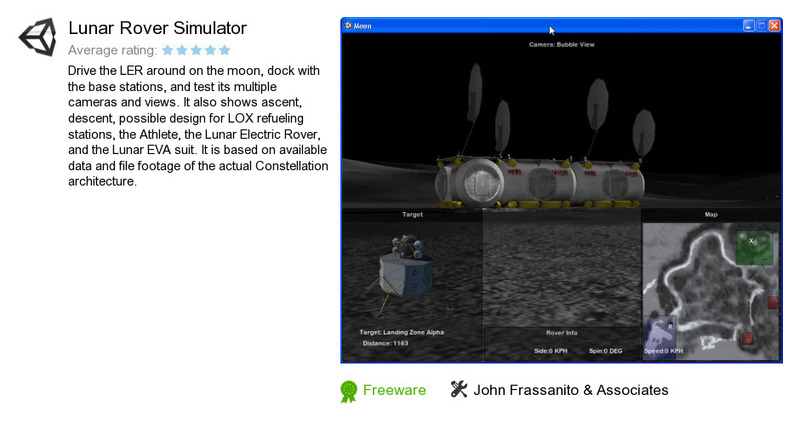 Lunar Rover Simulator is a product developed by John Frassanito & Associates. We know of version 1.0. Version 1.0 is downloadable at our site. Lunar Rover Simulator package has a size of 44,178,315 bytes.